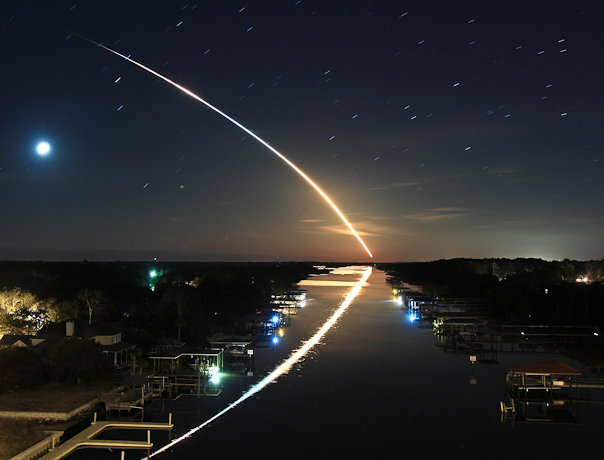 Cool photo of STS-130 Launch… Space Shuttle Launch as seen from the Palm Valley Bridge It was taken in Ponte Vedra from the top of the 210 bridge crossing the Intracoastal looking south towards St, Augustine and Cape Canaveral He got up very early and took this picture of the last nighttime space shuttle launch and was kind enough to share with anyone who would appreciate the beauty of the space launch. He took the picture using a tripod and the elapsed time for the picture was several minutes in order to get the full fire-trail (this is why the stars are little lines instead of dots). Tonight we’re taking a look at NASA’s space program — you know, the one JFK challenged Americans to embrace? The one that catapulted man to the moon along with our soaring sense of national pride? The one Obama is gutting. Yeah, that one. The NASA budget cuts and the effects it will have on our nation, our security, our jobs, our science and engineering capabilities, and more.